On March 23, my poor Toby boy bashed his foot on the fence. He needed 5 stitches and 6 layers of bandages changed daily. To my sad discovery on Monday April 1, his stitches had come out. 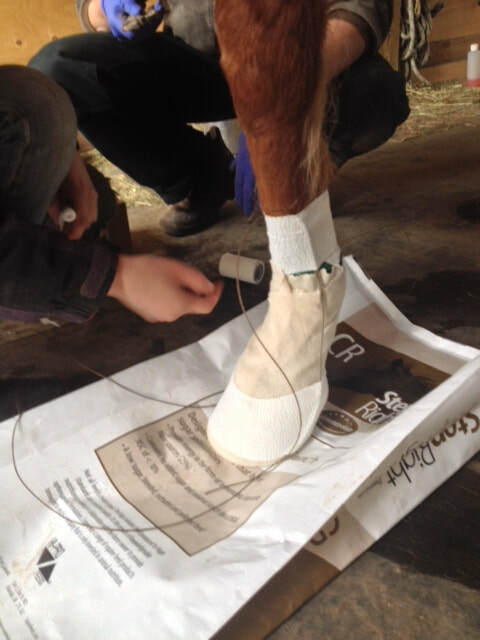 The vet recommended putting a cast on his foot because the laceration is located on a high flex point, just below the fetlock. 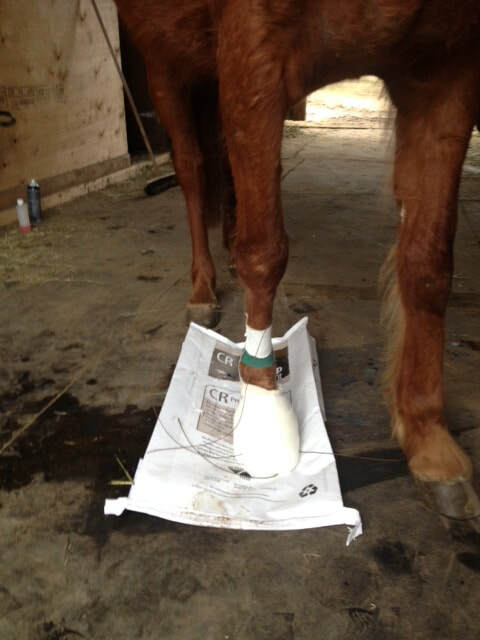 So on Thursday, two vets put a cast around his hoof, up to the fetlock. 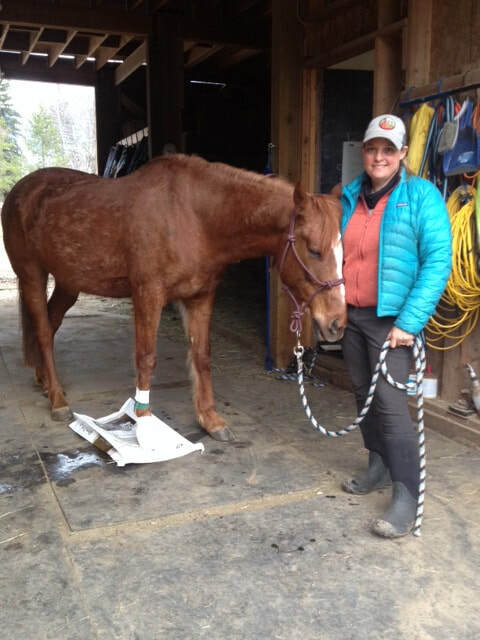 I moved him to the barn across the street where he can live in an indoor stall and stay dry. He has been doing really well by staying calm and being patient. He is almost 7 years old and he has been confined for over 2 weeks now. The hope is that the cast will keep the laceration closed so it will heal faster. He will still need bandaging after the cast comes off next week. In the meantime, he is getting super pep talks from me and groomed daily. We are enjoying a new way to bond. Here are some pictures of the cast going on, as it is not something you see everyday. I am learning about the Power of Eight and I have joined a healing group. It is based on the book by Lynne McTaggart. She was an investigative journalist who came across the powerful effects of setting an intention. She has written a few books and the most recent is the Power of Eight. Our group meets to put into action the findings of her book. The premise is that we can reach a high level of meditation very quickly when we meditate together in a group with a specific intention. Our group tends to focus on healing our group members who are present or family members remotely. I was fortunate to receive a healing yesterday for PMS. I have been struggling with fatigue, bloating and irritability for 2 weeks of every month for over 4 years. If I drink Chinese medical herbs and liver cleansing tea the symptoms will diminish but they are still present. 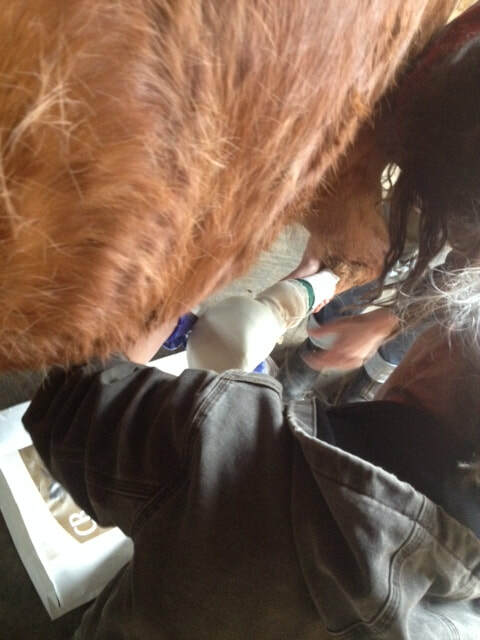 We have numerous reports of healings being very successful in the group. So if I can end my PMS with a half hour healing I am very willing to give it a try. The group felt the meditation was a beautiful experience as we were in strong coherence with each other. I felt very uplifted during the meditation and after. During the meditation I saw all of our hearts connected by a string of white light. As I sat in the centre, I slowly felt light and heavy at the same time. Then the fatigue and heavy energy started to drip out of me and onto the floor. It was black and sticky like tar. I then saw myself in a golden bubble of light and the healing forces of my group members were lighting up the bubble and zapping my body like lightening bolts. I was then a younger version of myself having a shower to cleanse away the bloating and irritability. My energy was abundant. Many of the group members reported similar visuals when they shared their experience. This is powerful stuff! The last few weeks I have been having so much fun jumping Toby in the field. 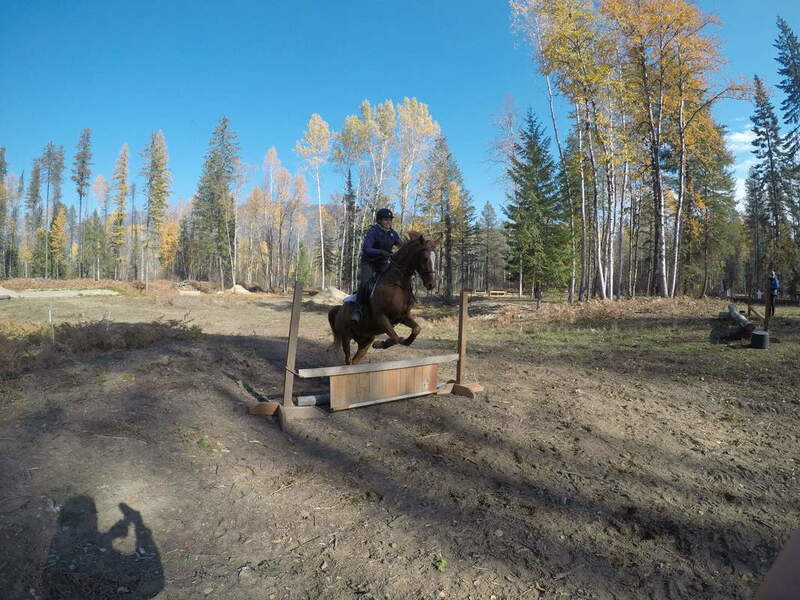 In this clip, I am working on keeping the canter collected so he has a good approach to the jump. I tend to get nervous and squeeze with my legs. 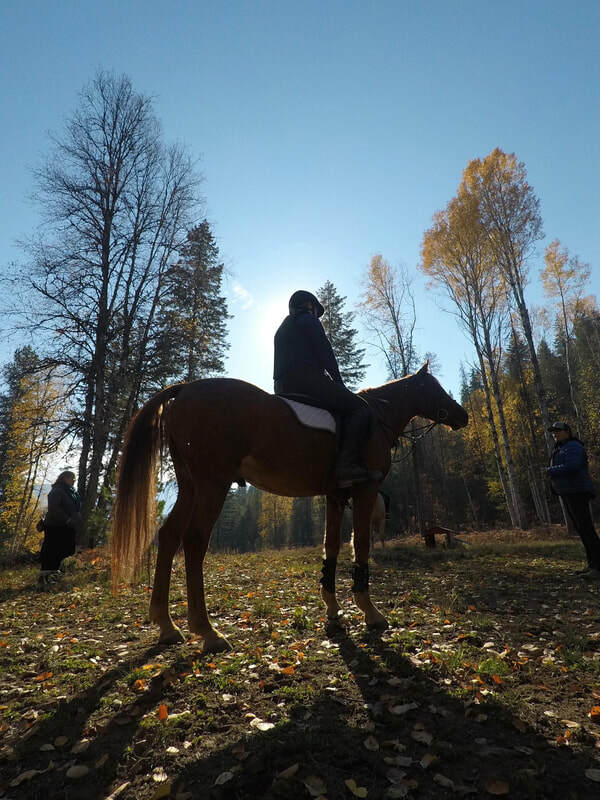 This makes Toby go faster so his canter is longer and more strung out. He then has a hard time clearing the jump. 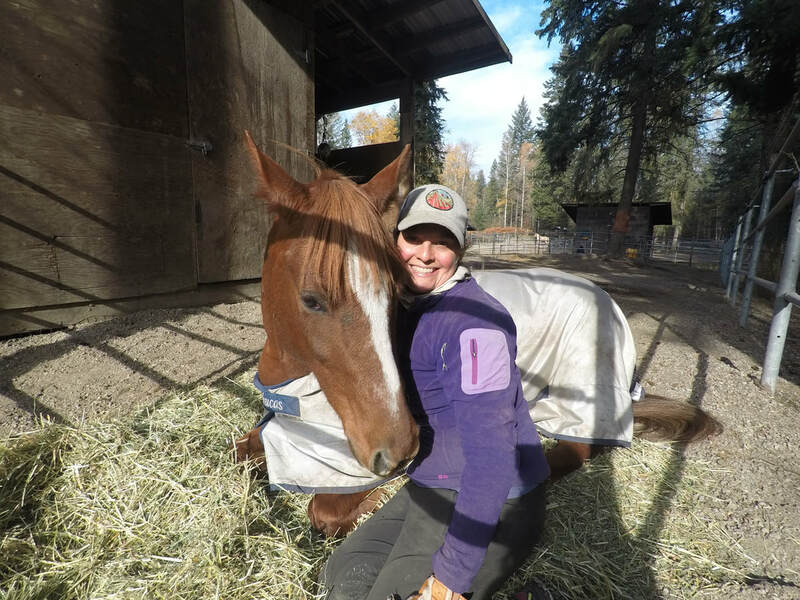 By doing rhythmical half halts and having loose legs, I am keeping his canter packaged so he has lots of spring in his step and he can clear the jumps easily. Yesterday was a very exciting day. My husband and I have been enjoying date night on Friday nights. We have been frequenting Mike's Pub in the Hume Hotel. The Hume Hotel is a historic site in Nelson. Due to this age old history, the hotel has a reputation for being "haunted." My husband and I were sitting at a table (on the right of the closest red post) near the billiards table enjoying our dinner. We were both facing the pool table so we could watch the game. Then something caught my eye. It looked like the eight ball was hit off the table. I followed it with my eye to watch where it would land. It curved down under the table where a nearby couple was sitting. I lost sight of it, so I looked to the men who were playing with the expectation that they would fetch the ball. But they didn't. So I said to my husband "I just saw the weirdest thing, a ball went flying off the table to the left." He asked "Was it white?" I said: "It had a little bit of white on it, like a white butterfly surrounded by black bubble, it looked like the eight ball but out of focus." He said " I saw a white ball fly off the table to the right." I was gobsmacked! We saw two different balls fly off the table at the same time! I asked if he thought it was someone playing with a flashlight. He thought not because the quality of the light was in the middle of the room rather than against the wall or floor. So it seems we both witnessed an apparition of sorts, an eight ball apparition and a cue ball apparition. It is exciting that we both witnessed this phenomenon for the first time in our lives, together. 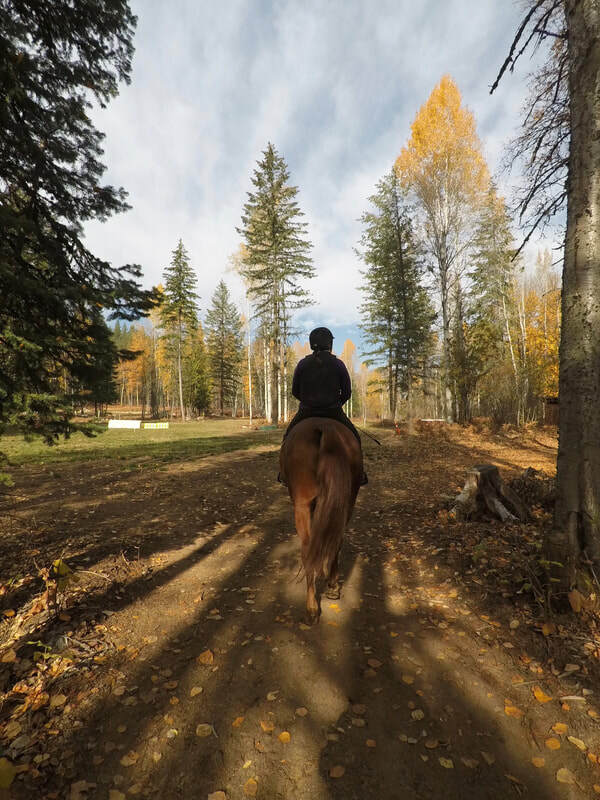 The Autumn days in the Kootenays have been glorious! The day began with an 8 ton hay delivery. Thankfully there were 5 us helping to unload so we did it under 2 hours. The chaff went to the boys. As you can see Toby enjoyed using the hay as a bed. He laid himself down while snacking and I couldn't resist cuddling with him. 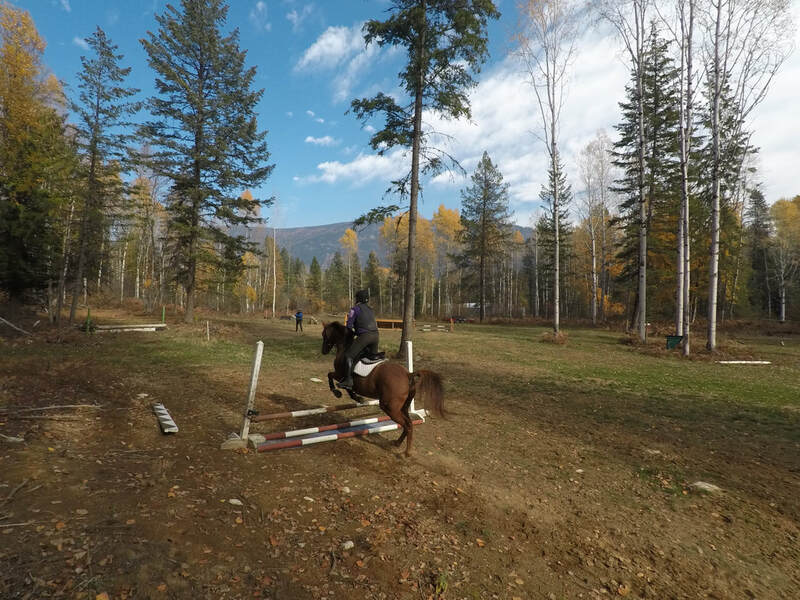 We had a super fun lesson today in the cross-country field. It has been a couple of months since Toby has been in the big open space. 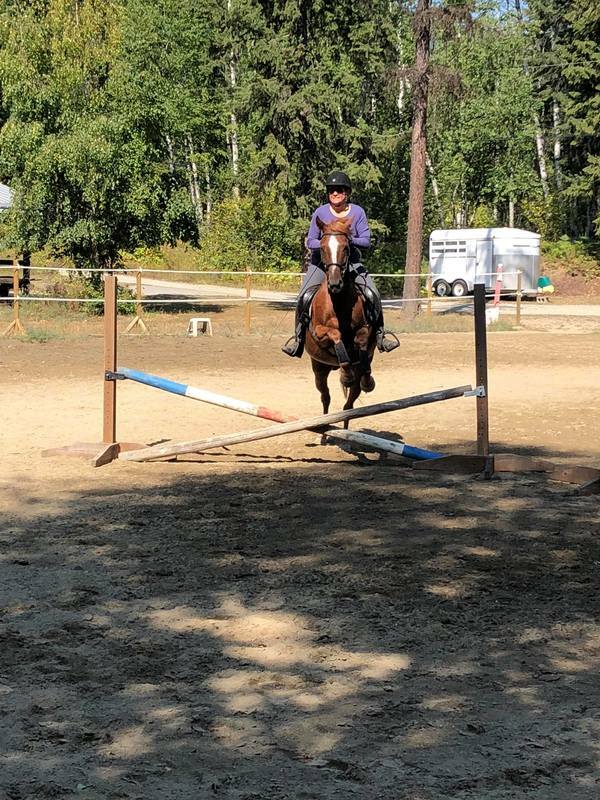 He was really good, just a little resistant to slow down after a jump at times. Enjoy the photos and the brilliant colors. Now that the busyness of summer has past I finally have time to write again. 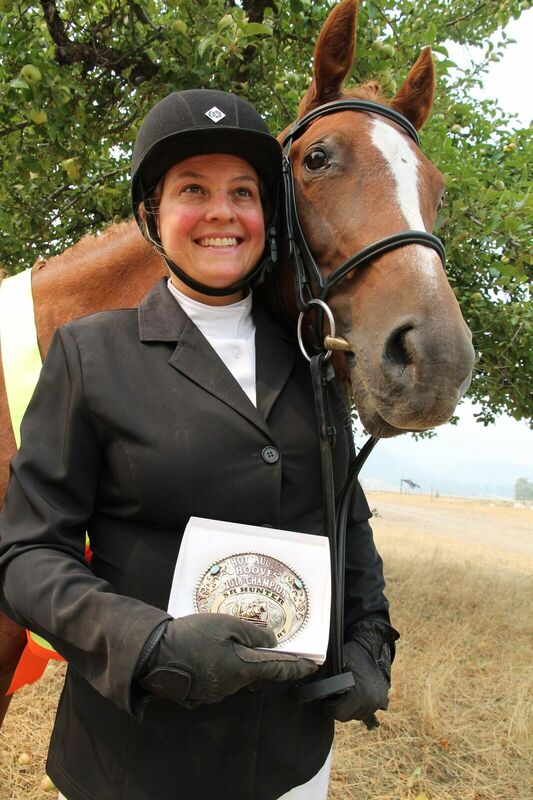 I had a great summer with the horses. We did clinics, camps and a local show. 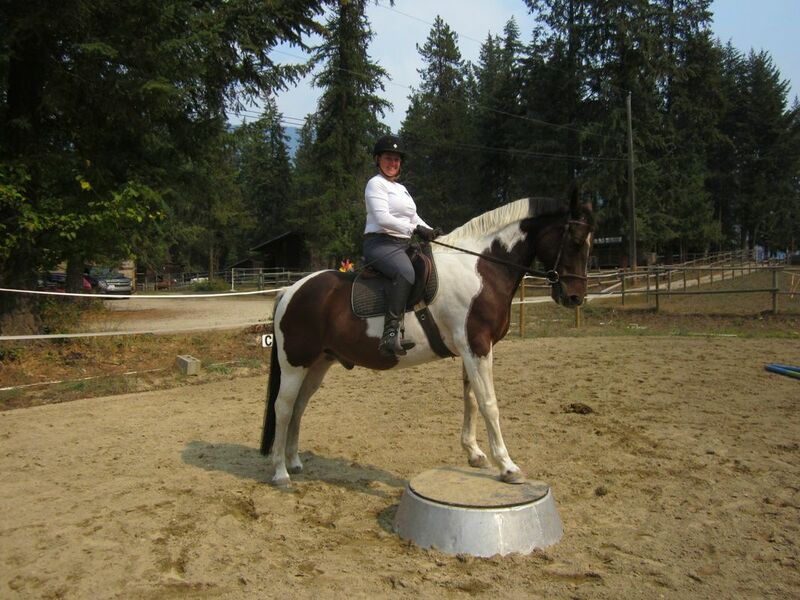 We did dressage, jumping and obstacles. All in all, we learned a lot, grew together and had a really fun time. Here are some pictures of our adventures.